I am the artist at Mackenzie Lynn Photography. My portrait studio is located in Ithaca, NY. I help families create authentic art of the light and love stories in their lives. Once upon a time, there was a mother pregnant with her third baby who spent her days chasing after two toddlers. After baby arrived, she became trapped in a deep, dark place. Anxious about not having enough hands to protect these babies, she slowly began to lose her mind. Feeling something was very wrong, she looked for help. She talked to friends and doctors, took yoga classes, tried medicines and vitamins, cried a lot, slept as much as she could, but it wasn’t enough. The darkness was just too scary and overwhelming. So she picked up her camera feeling sure that there was beauty and light all around her that she just couldn’t see. Every day she photographed those sweet babies and searched for the light in those little moments. She shared her story and her photographs and found she wasn’t alone in the dark. Over time, those pictures led her back into the light. My experience with PPA/D was the beginning of something beautiful and I can now look back at that chapter with gratitude. I learned to be mindful, brave and authentic. I also realized how powerful photography is in telling our story and mapping our journey. I’m so grateful I picked up my camera and documented my story! It was the perfect therapy for me (and still is). Photography and storytelling help us heal, grow and honor this chapter in our lives. 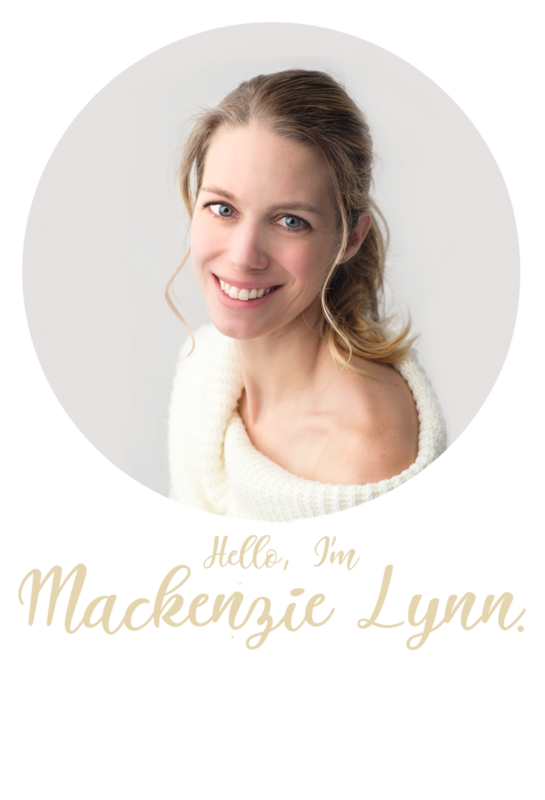 I stated Mackenzie Lynn Photography to help others see their family in the most beautiful light. While I love snuggling babies and chasing kiddos around, it’s authenticity I’m seeking. Real family moments, real smiles, real stories. I just read this in the spring issue of the Magnolia Journal: “Authenticity can’t be copied; it can’t be false“. That’s what I love about photographing families and their stories: each one is unique and the moments are real. The way your baby fits in your arms, the sweet personality in your toddler’s eyes or the way your big kid still loves snuggling with you. These authentic moments make for the most meaningful and valuable art for our homes; art created of your greatest masterpiece- your family. Photographs help show us who we are, give us hope and share our story with the next generation. I quickly realized that simply taking photographs wasn’t enough. I wanted to help families fill their homes with daily reminders of the beautiful light and love stories all around them.